Chandler is a city in Maricopa County, Arizona, United States, and a prominent suburb of the Phoenix, Arizona, Metropolitan Statistical Area (MSA). It is bordered to the north and west by Tempe, to the north by Mesa, to the west by Phoenix, to the south by the Gila River Indian Community, and to the east by Gilbert. 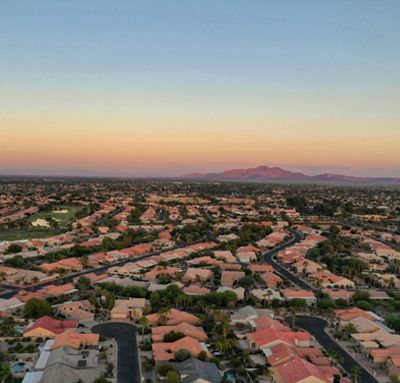 As of July 2015, the population was 260,828 according to the United States Census Bureau, According to the city's official website, Chandler's Transportation & Development Department estimated the population, as of May 2016, to be 247,328. It also has satellite locations for many technology companies, including Intel and Orbital ATK. Chandler has reached its physical limits save for some remaining county islands and cannot expand outward anymore due to being bound in by the Gila River Indian Community, Tempe, Mesa, Gilbert, and Phoenix.